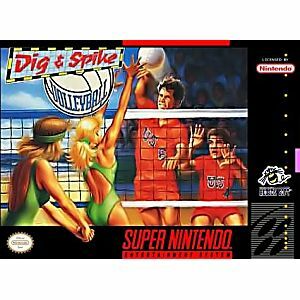 Dig and Spike Volleyball SNES Super Nintendo Game Cartridge Cleaned Tested and Guaranteed to Work! Insane Speed-Car Combat!- Special moves: side swipes, bootleg turns, and more! !- Speed like you won't believe!- 8 throbbing megs of high speed thrills!- 32 tire busting tracks! Two Volleyball Games In One! 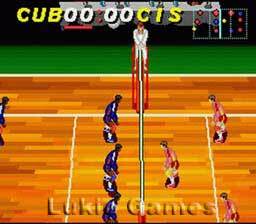 Run to the net for a last-second block - drive in the sand for an unbelievable save - launch a power-serve that aces right past your opponents - and smash the ball into the hardwood floor with a killer spike! All this and more is yours in Dig & Spike Volleyball! Take to the courts with a 6-man team and compete against teams from around the world - each one willing to sacrifice all for the hold! Or, pick the hottest babes in 2-man teams and play for the ultimate glory on the Beach Volleyball Circuit! 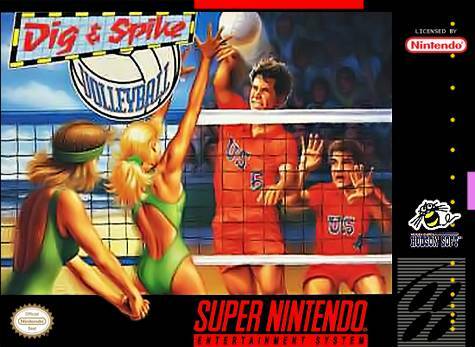 Either game offers the thrillers and challenges of Pro-Volleyball! Master the multiple serving techniques to keep your opponent guessing. Play close to the net to block a spike right back at the other team! Choose the exact moment to sail the return into the far corner of the other side. 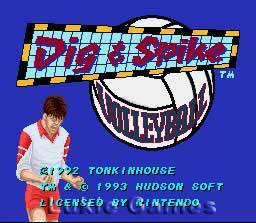 Strategy, timing and a little luck will take you all the way to the top in Dig & Spike Volleyball!